There may be no greater mecca for traveling as a family than Orlando, Florida. Whether you’re coming or going from Orlando International Airport, you’re bound to have at least a few tykes along for the ride either eagerly anticipating their vacation ahead of them or decked out in theme-park memorabilia carting stuffed animals larger than they are through TSA. In fact, you’ll likely see someone from just about every age range on a flight headed to Orlando. Even though Orlando, with its wide array of theme parks and attractions, sets the scene for the perfect family destination, traveling with smaller children can always be tough if they’re unable to go on most rides or for folks who may not be able to walk long distances. Fortunately, the parks do offer Child Swap at most attractions, which allows one parent/guardian to stay with the kid while the other hops on the ride, and then they switch off. They also offer both push and electric wheelchair options, and I’m always a fan of recommending a break on a theme-park bench and just people watching for a while. How do you determine which parks might be best for the age groups traveling with you? Are there attractions for three-, 10-, and 15-year-olds? What about the adults and seniors in your party? 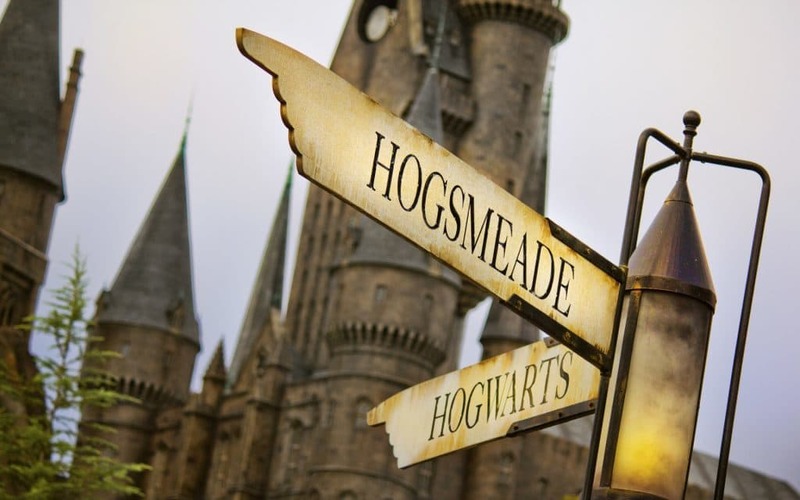 It’s time to explore just this – the perfect theme parks for each age group. 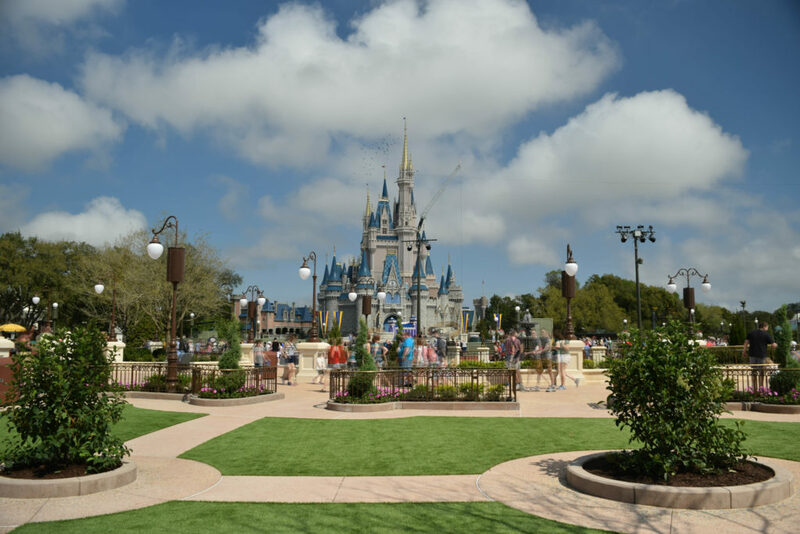 Although we can – and will – lay down some basic parameters in this regard, please keep in mind the best parks for you and your family will ultimately depend more on your interests (Harry Potter vs. Star Wars, roller coasters vs. character meet-‘n-greets, etc. ); establishing what will mean the most to you and your family is paramount when planning your vacation. If you have the time, exploring each theme park for its own unique offerings is ideal – then you can choose your “can’t miss” moments or head back to your favorite areas for further exploration! There’s no way around it – traveling with children under the age of five is difficult, no matter the destination. Orlando, however, does offer some great opportunities for the youngest of fans, and they’ll still be able to enjoy the adventure. Many rides will be inaccessible to kids of this age group (in particular for the zero-to-two-year-old demographic), but small children can accompany parents on a variety of attractions at all the theme parks. 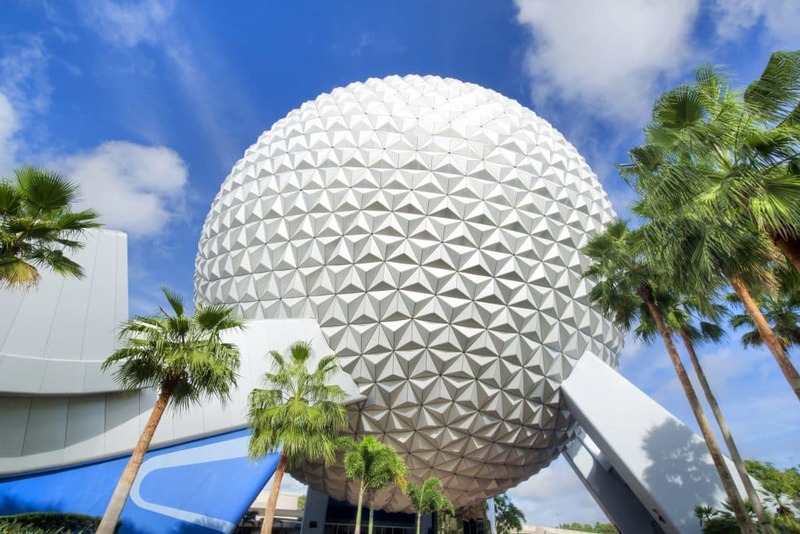 Around the age of five, the options open up to many more possibilities for your children at all of the Orlando theme parks; at Walt Disney World Resort, for example, there are Astro Orbiter, Buzz Lightyear’s Space Ranger Spin, Mad Tea Party, Peter Pan’s Flight, and Spaceship Earth. The best theme-park option in Orlando for this swath of ages overall, however, might be SeaWorld. Young children will be able to interact directly with some of their favorite animals (such as at Dolphin Cove and Stingray Lagoon), which they’ve likely never seen with their own eyes before, and to experience a wide variety of live shows that feature real animals. And to top it all off, the brand-new Sesame Street-themed land opens this month and is sure to please kids a great deal! What’s not to love about meeting their favorites from the most famous street of all? Magic Kingdom has a variety of options, including Dumbo the Flying Elephant and It’s a Small World. Disney World also features many meet-and-greet opportunities throughout its four parks with Disney Princesses and other characters, including Mickey Mouse himself. Little ones at this age might also like the interactive Bibbidi Bobbidi Boutique or the Knight Package, which allows them to transform into their favorite princesses and princes. Disney’s Animal Kingdom, much like SeaWorld, features animals up close and personal. Kilimanjaro Safaris takes you on a safari where you’ll be able to see a variety of animals, and there is also Wildlife Express Train, Affection Section, and Oasis Exhibits, which would all be great for children of this age. Universal’s Islands of Adventure sports Caro-Seuss-el, The Cat in the Hat, and One Fish, Two Fish, Red Fish, Blue Fish. And, for the more daring children, there is also Flight of the Hippogriff. Universal Studios Florida might be tricky for the smaller children, as there isn’t much for them, but it does have the Curious George Goes to Town play area, along with Fievel’s Playland and A Day in the Park with Barney. It also offers shows which may appeal to your child, including Animal Actors on Location and the daily Superstar Parade featuring Universal’s favorite characters. For children closer to five, Shrek 4D, Despicable Me: Minion Mayhem, E.T. Adventure, and Woody Woodpecker’s Nuthouse Coaster are all also on hand. Legoland Florida is the place to be if you have a little Lego fan in your life. Thrill rides will become a possibility toward the end of this age group, making it a much easier planning experience, since restrictions will not be as tight. While all three of the major theme-park locations – Walt Disney World Resort, Universal Orlando Resort, and SeaWorld Orlando – have great offerings for these ages, Universal’s lineup expands widely, and kids will be able to enjoy everything from Popeye & Bluto’s Bilge-Rat Barges, Jurassic Park: River Adventure, Harry Potter and the Escape from Gringotts, and Men in Black: Alien Attack (all 42″) to Dudley Do-Right’s Ripsaw Falls (44″), Revenge of the Mummy, and Harry Potter and the Forbidden Journey (48″). Depending on your own child’s interest, each park has its possibilities, but Universal Orlando seems to be the best choice for this bracket. Disney’s Typhoon Lagoon or Blizzard Beach – Typhoon Lagoon has been a personal favorite since I was a kid, with its tropical vibes – there are a lot of great rides here, many of which are made for “any height” (and don’t forget the dedicated children’s area for 48” or shorter known as Ketchakiddee Creek). Blizzard Beach is a onetime ski resort that’s melted in the sun and also offers many attractions that are made for “any height,” with a few more for the 48”-and-up crowd. Don’t miss Blizzard Beach’s children’s areas, the Ski Patrol Training Camp and Tike’s Peak. 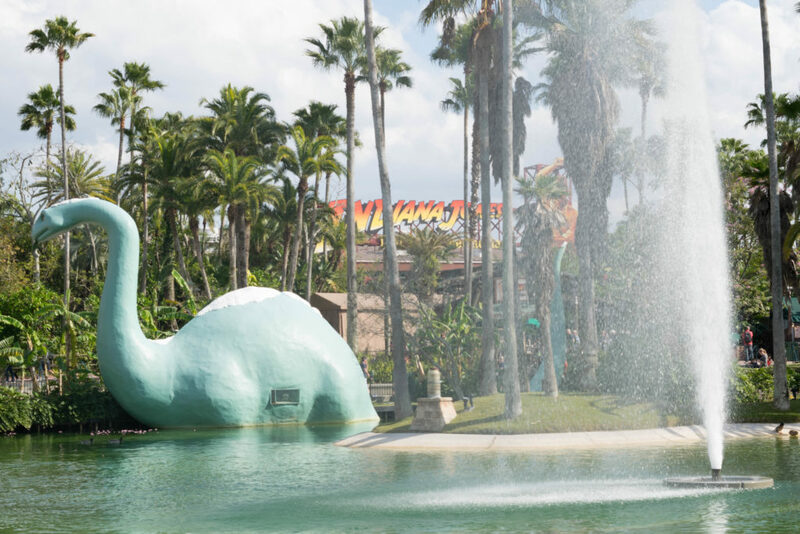 Universal’s Volcano Bay – need to live the carefree life? Universal Orlando has the answer! Its still-brand-new water park is an incredible adventure featuring nine rides for those that are 42” and 14 rides for those that meet the 48” requirement. And the Krakatau Aqua Coaster is a can’t-miss experience (and has a height requirement of 42”). The intersection of fun – for all ages! In what is known as the “tween” years, your child will like a variety of things and theme parks, depending on his or her own proclivities. At this point, your kid will be able to do most of the thrill rides at all of the parks, while still being young enough to not be self-conscious about riding the kiddie attractions. All three of Orlando’s theme-park locations provide experiences and shows for the ages of 10 to 12, so the choice is all yours. Take a look at all of their websites before you head to Orlando and decide as a family which one(s) would be best for you. At 48-inches-plus, your children will be able to do most of the rides at Typhoon Lagoon, Blizzard Beach, and Volcano Bay. So grab your swim suits and head on out to enjoy a Central Florida water park! Walt Disney World – your teen will definitely enjoy Space Mountain and Splash Mountain at Magic Kingdom and The Twilight Zone Tower of Terror and Rock ‘n Roller Coaster Starring Aerosmith at Hollywood Studios. And Epcot offers a lot of educational information throughout its different country pavilions in World Showcase, which your teen (and kids of all ages, really) may appreciate. SeaWorld – this park may still be of interest to your teen, especially because many cards are now on the table, including such roller coasters as Manta, Mako, and Kraken. Do you have more than one child in a different age group? Spend a bit of time planning and mix up your vacation by visiting more than just one theme park so that you can optimize your trip based on your children’s ages. Disney offers Park Hopper ticket packages, which bestow park-to-park access, allowing you to be able to see all of Disney’s four theme parks (and two water parks). 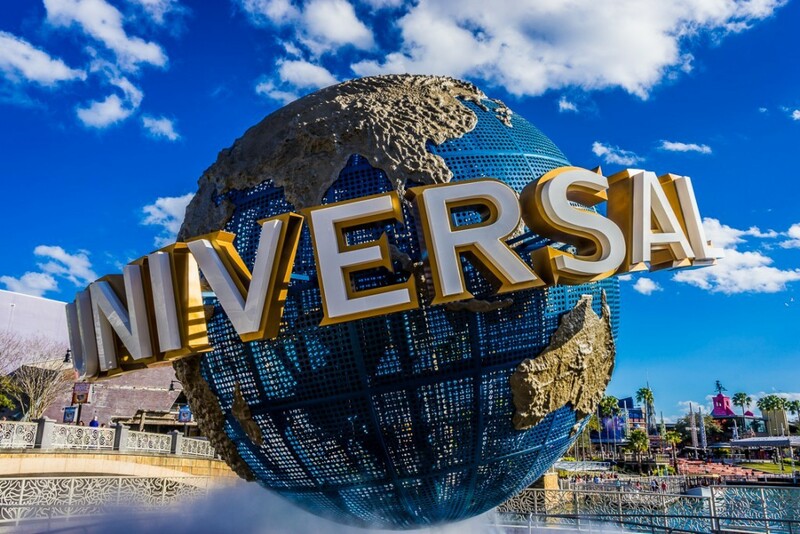 Universal also has multi-park passes that will enable you to hop between Universal Studios Florida and Island of Adventure – which isn’t to mention enabling you to ride one of the best attractions for all ages, the Hogwarts Express! Epcot may be a safe haven for adults traveling to Orlando. Yes, kids and families will still be enjoying the park right alongside you as you take in the mariachi band in Mexico or Voices of Liberty in America, but for every character meet-‘n-greet and pixie-dusted theme song stuck in your head, Epcot offers a look at 11 different countries and cultures in World Showcase (not to mention “drinking around the world” is always a fun activity, when enjoyed responsibly) and seasonal events, like the Food and Wine Festival and the International Festival of the Arts. There is also genuinely something for everyone at the park, but if the adults are looking for a cocktail and a little culture, from Paris to Rome and Canada to Japan, Epcot’s your stop! There are also rides like Soarin’ around the World, Mission: Space, and Test Track that are sure to thrill and delight adults (and anyone over 40”). 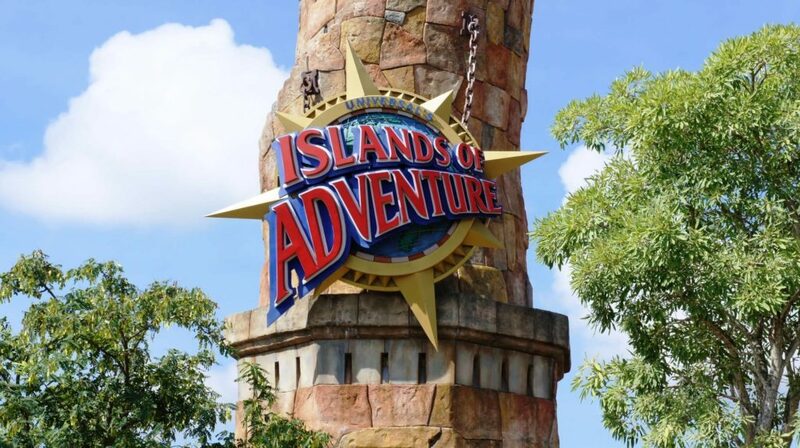 Islands of Adventure – if you’re a fan of thrill rides, water rides, or just a walk through the worlds of Jurassic Park, The Wizarding World of Harry Potter, or Dr. Seuss, Islands of Adventure is the place for you! Most of the rides here are perfect for adults to fill their days with, and the Backwater Bar is also one of the best places on property to pop in for a refreshing adult beverage, as well. Disney’s Hollywood Studios has enough character(s) for everyone in the family! Disney’s Hollywood Studios offers a step into popular movies, music, television, and theater; indeed, one of the first areas you’ll hit is the glitz and glamour of Hollywood’s iconic Golden Era. From the ’50s Prime Time Cafe to The Hollywood Brown Derby and the Citizens of Hollywood on Hollywood Boulevard, there is something to surely delight you at every turn – and that’s just on the first street! What’s great about Hollywood Studios is that if you are traveling with family members that span a variety of ages, there is something for everyone here. If you’re a fan of movies, this is your park, thanks to the still-recent Toy Story Land and Star Wars: Galaxy’s Edge coming our way on August 29, 2019. There are also some can’t-miss character meet-‘n-greets here if you’re a fan of The Incredibles, Star Wars, and Monsters, Inc. – not to mention the variety of shows this park offers, from For the First Time in Forever (a re-telling of Frozen), Beauty and the Beast – Live on Stage, and Fantasmic to cap off the night. SeaWorld – animals, great views, and shade – oh, my! 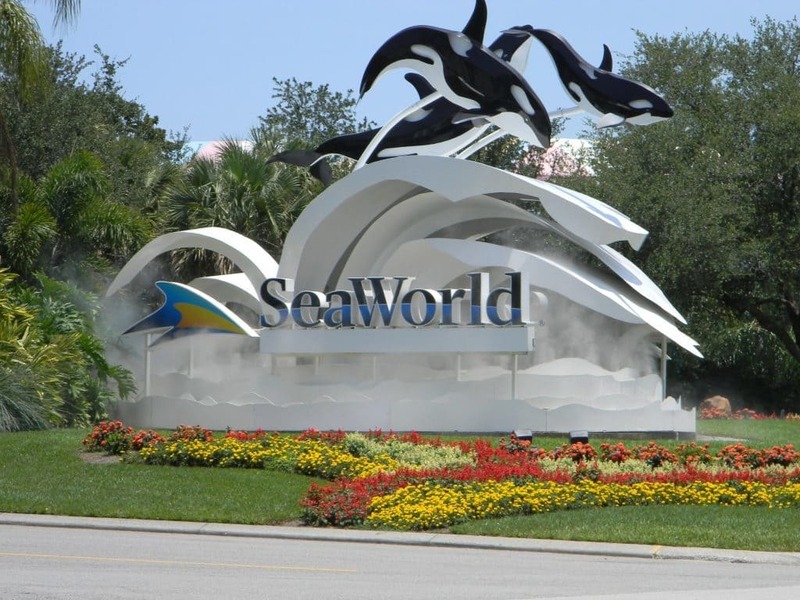 SeaWorld is a great location to view incredible animals, take in hilarious shows (Clyde and Seamore, we’re looking at you), and take a moment to relax while visiting Orlando. Epcot – from Future World to World Showcase and a variety of seasonal events (Food and Wine Festival, International Festival of the Arts) and eateries that let your taste buds explore 11 different countries, Epcot takes you on an adventure like no other. Do you have a question about which theme park is the best for your family, no matter its ages? Please let us know by posting in our OI Community Facebook group.